Bangarra Dance Theatre will embark on a major international tour at the end of the year, with performances at the prestigious Saitama Arts Theater in Japan and an impressive multi-city tour across India, which will include an extensive range of cultural exchange opportunities and a major free outdoor performance in New Delhi. Bangarra is committed to deepening international engagement and global understanding of Aboriginal and Torres Strait Islander culture, with cultural exchange firmly at the heart of its practice. In October, the company will travel to India to present three significant performances in New Delhi, Bangalore and Mumbai. In a milestone event for Bangarra, the company will deliver a spectacular free outdoor performance at the Qutb Minar in New Delhi, as a highlight of the Australian Government’s Australia Fest program. The unique performance will be presented at the outdoor complex on a purpose built stage overlooking the main minaret, and offer thousands of people the opportunity to learn about the history and vibrancy of Australia’s First Nations people. Off the stage highlights include a master class workshop in Bangalore with the Attakkalari Dance Company, who are known for blending traditional dance techniques with contemporary movement. Complementing its performances in India, Bangarra will undertake a variety of regional community engagement opportunities with Indigenous groups across the country. Cultural exchanges enable Bangarra to practice cultural reciprocity through the sharing of its knowledge and stories, and also learn from different Indigenous groups around the world. Bangarra will travel to Purulia, home of the Chhau mask dance, Bhopal, the site of the Indira Gandhi Rashtriya Manav Sangrahalaya (National Museum of Humankind), and Aizawl in Northeast India, to learn and experience a variety of traditional dances in a series of artistic collaborations with these communities. As cultural ambassadors, Bangarra has a responsibility to promote intercultural dialogue and demonstrate the strength and resilience of Aboriginal and Torres Strait Islander people on the world’s stage. 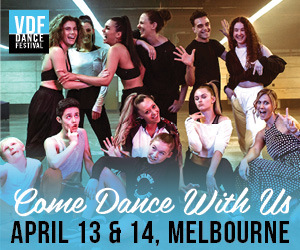 For the first time, the company will split its international touring party into three groups to deliver this level of community engagement concurrently in all three areas, with six dancers leading dance and cultural workshops in each region. To complete the tour in November, the company will make their fourth visit to Japan to perform as the centrepiece and concluding highlight of the Australian Government’s Australia now program. 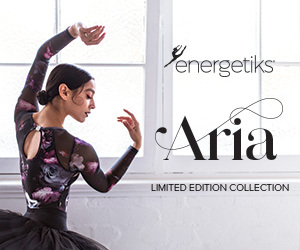 To build awareness and understanding of Aboriginal and Torres Strait Islander culture, the company will showcase the best of Bangarra’s repertoire in a powerful celebration of culture at Saitama Arts Theater. The company adapts a tailored approach with each international tour, choosing to present distinct works in each country. 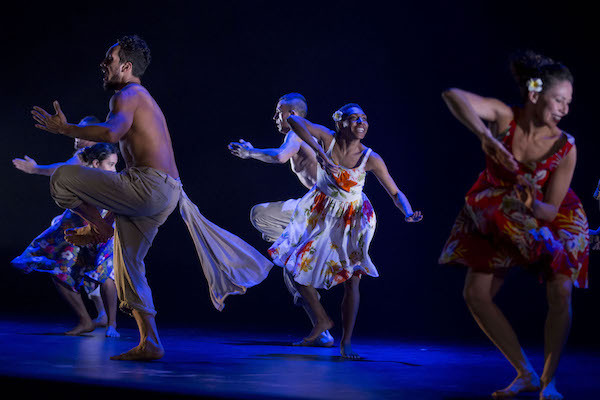 In India, the company will stage Spirit 2018, a powerful collection of dance stories from Bangarra’s best repertoire; while audiences in Japan will see Spirit 2018 alongside Waangenga Blanco and Deborah Brown’s I.B.I.S: a colourful depiction and celebration of island life in the Torres Strait Islands. Relationships with Aboriginal and Torres Strait Islander communities are the heart of Bangarra, with its repertoire created on Country and stories gathered from respected community Elders. 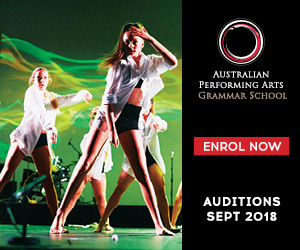 It is this inherent connection to its land and people that makes Bangarra unique and enjoyed by audiences everywhere, from remote Australian regional centres to the world’s stage. For more information and tickets, visit www.bangarra.com.au. Photo: Bangarra Dance Theatre performs Deborah Brown’s I.B.I.S, with dancers Yolanda Lowatta and Tara Gower. Photo by Jeff Tan.